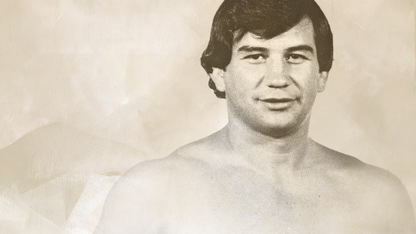 Floyd Gerald “Gerry” Brisco was born Sept. 19, 1946, in Seminole, Oklahoma. He spent his childhood in Stillwater, Oklahoma, where he lettered in wrestling, football and track at Stillwater High School. Gerry was a standout athlete in all three sports and accepted a wrestling scholarship to Oklahoma State University, where he only lost one match his freshman year and became a member of the 1968 NCAA national championship team. He and his older brother, Freddie Joe, were known as the Brisco Tag Team and won numerous tag team titles, championships and awards throughout their wrestling careers. In 1968, Gerry left school and embarked upon an 18-year professional career. During his professional wrestling career, he won over 20 championships and one junior heavyweight world championship belt. His brother Jack also won three tag team world titles. After Gerry’s wrestling career came to an end, he continued to work with Vince McMahon to help make the World Wrestling Federation, now World Wrestling Entertainment (WWE), a global business, discovering the likes of Hulk Hogan and other superstars. In 2006, Gerry was inducted into the WWE Hall of Fame, and in 2010, he was named to the USA Wrestling Indigenous Committee, an organization providing Native Americans and other minorities the opportunity to attend wrestling camps sponsored by USA Wrestling. In the same year, he helped form the International Olympic Committee with the goal of gaining representation in the games for North American Indigenous people as a sovereign nation. He retired from working with the WWE in 2009 and now lives in Odessa, Florida, where he formed the Guardian Wrestling Club, one of the largest clubs in the state.